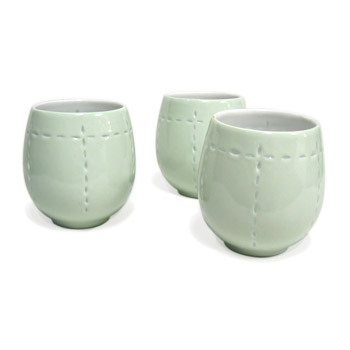 These graceful porcelain candle holders are embedded with uncooked rice grains prior to baking. The candle holders are then placed in a baking oven, where the heating process also cooks the rice grains. Once the candle holders have been removed and allowed to cool, the cooked rice is then extracted, leaving the grain pattern through which candlelight gently filters.